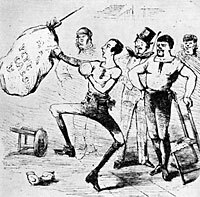 “Wood’s more ardent fans included the Dead Rabbits, a brawling Irish gang that was in philosophical agreement with the mayor’s refusal to enforce the statewide prohibition law of 1855,” wrote Bill Kauffman in American Enterprise.12When Wood died, the New York Herald reported: “In the lower wards of the city he was very popular, especially with the roughs, over whom he exercised almost limitless influence by reason of his temperance principles, habits of sobriety and self-control.”13 After a defeat for reelection as Mayor in 1857, Wood founded the “Mozart Hall” faction of New York Democrats opposition to “Tammany Hall” faction. I now learn however from Mr Opdyke this day that he failed to see these Senators when in New York and that he had not made the propositions and that therefore you are not in possession of it as coming from myself Therefore the object of this letter. Historian Margaret Leech wrote of Wood: “Although he was openly allied with the secessionists, he attempted to maintain a clandestine relation with the administration, and lost no opportunity to ingratiate himself with the White House.”38 Mr. Lincoln was justifiably chary of both Wood and the proposals he presented. The same month, he had categorized the representations of another supposed emissary from Confederate President Jefferson Davis as “a very shallow attempt at humbuggery.”39 The President carefully replied to Wood on December 12. I strongly suspect your information will prove to be groundless; nevertheless I thank you for communicating it to me. Understanding the phrase in the paragraph above quoted “the Southern States would send representatives to the next Congress” to be substantially the same as that “the people of the Southern States would cease resistance, and would re inaugerate [sic], submit to, and maintain the national authority, within these limits of such states under the Constitution of the United States,” I say, that in such case, the war would cease on the part of the United States; would cease; and that, if within a reasonable time “a full and general amnesty” were necessary to such end, it would not be withheld. I do not think it would be proper now for me to communicate this, formally or informally, to the people of the Southern States. My belief is that they already know it; and when they choose, if ever, they can communicate with me unequivocally Nor do I think it proper now to suspend military operations to try any experiment of negotiations. Any information you may, in your own way, obtain upon this subject, I shall be glad to receive, if you please. Any I should, nevertheless, receive with great pleasure the exact information you now have, and also such other as you may in any way obtain. Such information might be more valuable before the first of January than afterwards. While there is nothing in this letter which I shall dread to see in history, it is perhaps, better for the present, that it’s existence should not become public. 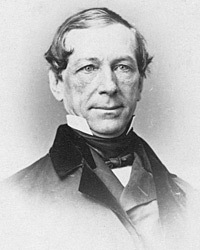 In February 1863, Wood sought the Democratic nomination for the U.S. Senate — although the Democratic nominee was sure to lose to Edwin D. Morgan. Wood lost the dubious honor to Erastus Corning by a 28-20 vote in the Democratic legislative caucus. “Wood, through the alliance with Tammany in the preceding election, had gotten a sort of hold on that organization; but the Regency stood as a bar to his further advance toward the control of the forces of the state Democracy. Back of this opposition was not only rivalry between New York City and the rest of the State, but a dislike for Wood and his methods.”43 Wood had become a lightening rod for Union supporters — inside and outside the Democratic Party. Although they were politically in sync, New York’s Wood and Ohio’s Vallandigham were political rivals. “Fernando Wood succeeded to the leadership of the Peace Democrats in the Thirty-eighth Congress, Vallandigham not having been returned to the House. A more marked contrast between two men can hardly be imagined.” Journalist Noah Brooks wrote that Wood “did not like Vallandigham, and on more than one occasion he held long conversations with President Lincoln in regard to the then notorious Ohio Copperhead. He was especially anxious that the President should not make a martyr of Vallandigham, of whom he expressed a most contemptuous opinion, and of whom he said that, if he were let alone, he would speedily sink out of sight.”50Vallandigham had been arrested by General Ambrose Burnside’s soldiers on May 5, 1863. He was subsequently ejected from Ohio and sent across Confederate lines. He eventually made his way to Canada. “This morning early Edward came into the President’s office and announced that Mr. [Fernando] Wood was here to see him. ‘I am sorry he is here,’ said the President. ‘I would rather he should not come about here so much. Tell Mr. Wood that I have nothing as yet to tell him, on the subject we conversed about when he was last here.’ Edward went out to deliver his message. 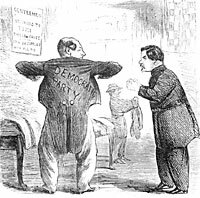 Meanwhile, Wood pushed his Peace Democrat platform and attempted unsuccessfully to promote Governor Horatio Seymour as a potential Democratic candidate for President. That position placed him at odds with other New York City and State Democratic leaders, who backed War Democrat George B. McClellan. Wood understood the contradictions between McClellan’s and party’s peace platform would make an effective Democratic campaign impossible. Wood called for a new Democratic convention “to remodel the platform to suit the nominee, or nominate a candidate to suit the platform.”58 He even sought and received an appointment to see President Lincoln at the Soldiers Home on September 11, 1864. But Wood’s power had peaked and he was no longer a factor in even presidential calculations. Both Fernando and Ben Wood served in Congress when the Thirteenth Amendment was voted on in January 1865. Both voted against it. Albert Shaw, Abraham Lincoln: The Year of His Election, Volume II, p. 248. Jerome Mushkat, Fernando Wood: A Political Biography, . Noah Brooks, Washington in Lincoln’s Time: A Memoir of the Civil War Era by the Newspaperman Who Knew Lincoln Best, p. 29. George Fort Milton, Abraham Lincoln and the Fifth Column, p. 242. James G. Randall, Lincoln the President: Midstream, p. 97. Bill Kauffman, “The Blue, The Gray and Gotham”, American Enterprise, July-August, 2000, p. 51. Alexander B. Callow, Jr., The Tweed Ring, p. 18. Rufus Rockwell Wilson, Intimate Memories of Lincoln, p. 340. David M. Black, The King of Fifth Avenue, p. 169. William Alan Bales, Tiger in the Streets: A City in a Time of Trouble, p. 117. Reinhard H. Luthin, The First Lincoln Campaign, p. 212. Sidney David Brummer, Political History of New York State During the Period of the Civil War, p. 123-124. Sidney David Brummer, Political History of New York State During the Period of the Civil War, p. 124. James. G. Randall, Lincoln the President: Midstream, p. 97. James G. Randall, Lincoln the President, Springfield to Gettysburg, Volume I, p. 243. Bill Kauffman, Bye Bye, Miss American Empire: Neighborhood Patriots, Backcountry Rebels , p. 46. George J. Lankevich, American Metropolis: A History of New York City, p. 113. Edwin G. Burrows and Mike Wallace, Gotham: A History of New York City to 1898, p. 867-868. Albert Shaw, Abraham Lincoln: The Year of His Election, Volume II, p. 249. Roy P. Basler, editor, The Collected Works of Abraham Lincoln, Volume IV, p. 232-233 (February 20, 1861). Sidney David Brummer, Political History of New York State During the Period of the Civil War, p. 124 (New York Herald, April 5, 1861). Allan Nevins, editor, Diary of the Civil War, 1860-1865: George Templeton Strong, p. 121 (April 15, 1861). Michael Burlingame and John R. Turner Ettlinger, editor, Inside Lincoln’s White House: The Complete Civil War Diary of John Hay, p. 17 (May 3, 1861). Abraham Lincoln Papers at the Library of Congress. Transcribed and Annotated by the Lincoln Studies Center, Knox College. Galesburg, Illinois. (Letter from Fernando Wood to Abraham Lincoln, April 29, 1861). George J. Lankevich, American Metropolis: A History of New York City, p. 114. Abraham Lincoln Papers at the Library of Congress. Transcribed and Annotated by the Lincoln Studies Center, Knox College. Galesburg, Illinois. (Letter from Fernando Wood to Abraham Lincoln, January 15, 1862). Abraham Lincoln Papers at the Library of Congress. Transcribed and Annotated by the Lincoln Studies Center, Knox College. Galesburg, Illinois. (Letter from Fernando Wood to Abraham Lincoln, August 20, 1862). Sidney David Brummer, Political History of New York State During the Period of the Civil War, p. 243. James G. Randall, Lincoln the President: Midstream, p. 98. William O. Stoddard, Abraham Lincoln: The Man and the War President, p. 361-362. Margaret Leech, Reveille in Washington, p. 280-281. Roy P. Basler, editor, The Collected Works of Abraham Lincoln, Volume V, p. 517 (Memorandum Concerning J. Wesley Greene, December 1862). Abraham Lincoln Papers at the Library of Congress. Transcribed and Annotated by the Lincoln Studies Center, Knox College. Galesburg, Illinois. (Letter from Fernando Wood to Abraham Lincoln, December 8, 1862). Abraham Lincoln Papers at the Library of Congress. Transcribed and Annotated by the Lincoln Studies Center, Knox College. Galesburg, Illinois. (Letter from Abraham Lincoln to Fernando Wood [Draft], December 12, 1862). Abraham Lincoln Papers at the Library of Congress. Transcribed and Annotated by the Lincoln Studies Center, Knox College. Galesburg, Illinois. (Letter from Fernando Wood to Abraham Lincoln, December 17, 1862). Gideon Welles, Diary of Gideon Welles, Volume I, p. 237 (February 17, 1863). Sidney David Brummer, Political History of New York State During the Period of the Civil War, p. 273. Frank Abial Flower, Edwin McMasters Stanton, p. 253. William Alan Bales, Tiger in the Streets: A City in a Time of Trouble, p. 147. George Fort Milton, Abraham Lincoln and the Fifth Column, p. 154. Sidney David Brummer, Political History of New York State During the Period of the Civil War, p. 305. Sidney David Brummer, Political History of New York State During the Period of the Civil War, p. 305-306. Sidney David Brummer, Political History of New York State During the Period of the Civil War, p. 306-307. Michael Burlingame and John R. Turner Ettlinger, editor, Inside Lincoln’s White House: The Complete Civil War Diary of John Hay, p. 208 (June 17, 1864). Michael Burlingame, editor, With Lincoln in the White House: Letters, Memoranda, and Other Writings of John G. Nicolay, 1860-1865, p. 122 (Memorandum, December 14, 1863). Michael Burlingame, editor, Dispatches from Lincoln’s White House: The Anonymous Civil War Journalism of Presidential Secretary William O. Stoddard, p. 205 (February 1, 1864). Michael Burlingame, editor, With Lincoln in the White House: Letters, Memoranda, and Other Writings of John G. Nicolay, 1860-1865, p. 125.-126 (Letter of John Nicolay to John Hay, January 29, 1864). Margaret Leech, Reveille in Washington, p. 309. 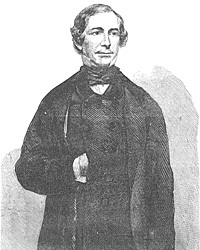 Michael Burlingame, editor, Lincoln Observed: Civil War Dispatches of Noah Brooks, p. 130-131. Irving Katz, August Belmont: A Political Biography, p. 137. Jerome Mushkat, Tammany: The Evolution of a Political Machine, 1789-1865, p. 363. Abraham Lincoln Papers at the Library of Congress. Transcribed and Annotated by the Lincoln Studies Center, Knox College. Galesburg, Illinois. (Letter from Fernando Wood to Abraham Lincoln, November 18, 1864). Abraham Lincoln Papers at the Library of Congress. Transcribed and Annotated by the Lincoln Studies Center, Knox College. Galesburg, Illinois. (Letter from Fernando Wood to Abraham Lincoln, December 4, 1864).